An irresistible adventure fantasy about Nim - a young girl alone on a tropical island except for her three amazing friends: an iguana, a sea-lion and a turtle. When a hurricane strikes, Nim becomes a hero in a single-handed sea rescue. Now a major feature film starring Jodie Foster, Abigail Breslin ('Little Miss Sunshine') and Gerard Butler ('300'). Nim lives on an island in the middle of the wide blue sea with her father Jack, a marine iguana called Fred, a sea lion called Selkie, a turtle called Chica and a satellite dish for her email. No one else in the world lives quite like Nim, and she wouldn't swap places with anyone. But when Jack disappears in his sailing boat, and disaster threatens her home, Nim must be braver than she's ever been before. And she needs help from her friends, old and new. Come aboard Nim's next adventure, Nim at Sea - a dangerous rescue mission to save Selkie and bring back her friend Alex Rover. Wendy Orr was born in Edmonton, Canada, but grew up in various places across Canada, France and the USA. She started writing for children after a career as an occupational therapist. She's the author of many award-winning books and lives on the Mornington Peninsula, near Melbourne. Nim's hair was wild, her eyes were bright, and around her neck she wore three cords. One was for a spyglass, one for a whorly, whistling shell, and one for a fat red pocketknife in a sheath. With the spyglass at her eye, she watched her father's boat. It sailed out through the reef to the deeper dark ocean, and Jack turned to wave and Nim waved back, though she knew he couldn't see. Then the white sails caught the wind and blew him out of sight, and Nim was alone. For three days and three nights, whatever happened or needed doing, Nim would do it. "And what we need first," said Nim, "is breakfast!" So she threw four ripe coconuts thump! into the sand and climbed down after them. Then she whistled her shell, two long, shrill notes that carried far out to the reef, where the sea lions were fishing. Selkie popped her head above the water. She had a fish in her mouth, but she swallowed it fast and dived toward the beach. And from a rock by the hut, Fred came scuttling. Fred was an iguana, spiky as a dragon, with a cheerful snub nose. He twined round Nim's feet in a prickly hug. "Are you saying good morning," Nim demanded, "or just begging for breakfast?" Fred stared at the coconuts. He was a very honest iguana. Coconuts are tricky to open, but Nim was an expert. With a rock and a spike, she punched a hole and drank the juice, cracked the shell and pried out the flesh. Fred snatched his piece and gulped it down. Marine iguanas don't eat coconut, but no one had ever told Fred. Now Selkie was flopping up the beach to greet them. "We'll come in, too!" Nim shouted, and dived off the rocks. Selkie twisted and shot up underneath, gliding Nim through the waves: thumping over, ducking under. Nim clung tight, till she was half sea lion and half girl, and all of her was part ocean. Then Selkie and Fred went to sunbake on the rock and Nim went back to the hut. She poured a mug of water from her favorite blue bottle, brushed her teeth above a clump of grass that needed the spit, and started her chores. There were lots today, because she was doing some of Jack's as well as her own. Long ago, when Nim was a baby, she'd had a mother as well as Jack. But one day, her mother had gone to investigate the contents of a blue whale's stomach. It was an interesting experiment that no one had done for thousands of years, and Jack said that it would have been all right, it should have been safe--until the Troppo Tourists came to make a film of it, shouting and racing their huge pink-and-purple boat around Nim's mother and the whale. When Jack told them to stop, they made rude signs and bumped their boat against the whale's nose. The whale panicked and dived, so deep that no one ever knew where or when he came back up again. Nim's mother never came back up at all. So Jack packed his baby into his boat and sailed round and round the world, just in case Nim's mother came back up out of the ocean somewhere else and didn't know where to find them. Then one day, when the baby had grown into a very little girl, he'd found this island. It was the most beautiful island in the whole world. It had white shell beaches, pale gold sand, and tumbled black rocks where the spray threw rainbows into the sky. It had a fiery mountain with green rain forest on the high slopes and grasslands at the bottom. There was a pool of fresh water to drink and a waterfall to slide down, and, in a hidden hollow where the grasslands met the white shell beach, there was--"A place for a hut!" And around it all, so that only the smallest boats could weave their way through, was a maze of reef, curving from the black rocks on one side to the white cliffs on the other. Jack sailed back to a city for the very last time. He filled up the boat with plants for a garden and supplies for science, and he landed on the island to build a home for just him and his daughter, because he knew now that Nim's mother had stayed down at the bottom of the sea. Like a mermaid, Nim thought. He built a hut of driftwood logs and good strong branches, with a palm-thatched roof and a hard dirt floor. He put up a satellite dish, and a solar panel to charge the batteries for a flashlight, a cell phone, and a laptop computer. He made sleeping mats stuffed with rustling palm fronds, a table and two stools, a desk, bookcases and shelves for his science stuff, coconut-shell bowls, and sea-shell plates. He dug a vegetable garden in the rich soil at Fire Mountain's base and planted avocados, bananas, lettuce, oranges, pineapples, strawberries, sweet potatoes, and tomatoes, and bamboo for making pipes and useful things. Then he went on being a scientist, and when Nim got older, she helped him. They read what the barometer said, measured how much rain fell every day and how strong the winds were, how high the high tides reached and how low the low tides fell, and then they marked the measurements on a clean white chart with a dark blue marker. Sometimes Jack wrote articles about the weather and the plants and animals, and e-mailed them to science magazines and universities, and sometimes people e-mailed him questions to answer. He would tell them about tropical storms and iguanas and seaweed, but he would never tell them where the island was, in case the Troppo Tourists ever found it, because Jack hated the Troppo Tourists worse than sea snakes or scorpions. Only the supply ship--which came once a year to bring them books and paper, flour and yeast, nails and cloth, and the other things they couldn't make themselves--knew where they lived. It was too big to weave its way through the reef, so Jack and Nim always sailed out to meet it, and the ship's captain never saw just how beautiful the island was. And every day, no matter how excited Jack got about finding a new kind of seashell or butterfly, they looked after their garden; they watered it if it was dry, weeded the weeds, and picked what was ripe. Jack built a three-sided shed for the tools, with a hook for the bananas and his big machete to cut them with. The machete was Nim's favorite tool. When they'd looked after the garden and fished for dinner and checked the beaches for driftwood or bottles or anything else that might have floated in on the tide, Nim had school. That was what they called it, but it wasn't inside and it wasn't at a desk. They sat on the beach in the dark to study the stars, and climbed cliffs to see birds in their nests. Nim learned the language of dolphins, about the tiny crabs that float out to sea on their coconut homes, and how to watch the clouds and listen to the wind. Sometimes for a whole day they talked in sea lion grunts or frigate bird squawks or plankton wiggles. Jack loved plankton. Nim's favorites were the ones that shone bright in the sea at night, but Jack loved them all because they were so little, and so important because little fish ate them, and bigger fish ate the little fish, and the biggest fish ate the bigger fish, and there wouldn't have been any fish at all if it weren't for plankton. But Nim liked animals that you could see, and have fun with, so when Jack had said he was going sailing for three days to collect plankton, Nim had decided to stay home. "I'll phone every night at sunset," said Jack. "And then you can check the e-mail. If you don't hear from me or see me for three days, send an SOS." But Nim knew that Jack would be okay because he was the best sailor on the ocean, and Jack knew that Nim would be okay because Selkie was always with her (Selkie sometimes forgot that Nim was strong and smart, and looked after her as if she were a tiny pup). Even when the king of the sea lions barked at her to come and fish or snuggle down at night with her sea lion family, Selkie stayed close to Nim. 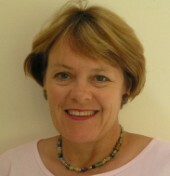 Wendy Orr grew up in Canada, France and the USA. Wendy was a compulsive reader from an early age and wrote stories throughout her childhood. In 1993 she resigned from her position as an occupational therapist to become a full-time writer, and an hour later heard that her novel Leaving It To You had been shortlisted in the Children’s Book Council Book of the Year Awards. Ark in the Park won the award two years later, followed by an Honour Book Award and overseas success for Peeling the Onion. Wendy now lives in Victoria’s Mornington Peninsula, and, along with her husband, is busy trying to restore their few acres of bush to its natural state as a home for wildlife.